We do things differently - and that’s the whole idea. Our proven model delivers increased access to quality care, industry-leading wellness programs and super-friendly technology that together drive better health and lower costs. In our nationally recognized clinics, your people will get to develop meaningful relationships with personable providers that actual improve lives. We’ll design an amazing wellness program just for your culture, promote engagement and even implement the incentives. We handle it all. Our unique technology platforms improve clinical decision-making, drive better experiences, and give you immediate insights into your population’s health and costs. CareATC is a brilliant supplement to your existing benefits plan that energizes its effectiveness. Your health insurance is still there for the big stuff – but as your workforce health improves with our ultra-accessible, proactive medical care and wellness programs, costs trend down while engagement soars. Employees feel valued. CEOs love the numbers. And HR managers win kudos for making it all happen. With better health and lower costs, everyone wins. Build a case for population health management. Better health. Lower costs. Proven since 2000. What company leader wouldn’t want to hear more? We’ve organized all the facts, tips and data for you – in a friendly, free format. We're a company dedicated to changing healthcare. Everything we do is defined by our passion to improve lives through a fusion of outstanding patient experience, superior access, and a dedication to quality – and our employees play the lead role in making that happen. Whether a healthcare provider, a clinic professional, or a member of our fast-paced corporate support team, at CareATC you'll be busy doing stuff that really matters. Get direct access to the Patient Portal. 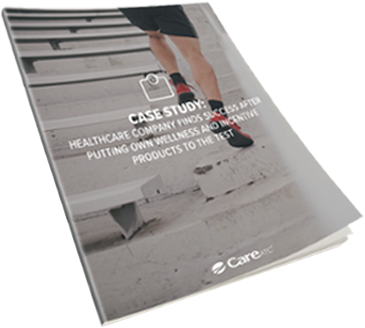 Learn about controlling healthcare costs with CareATC.